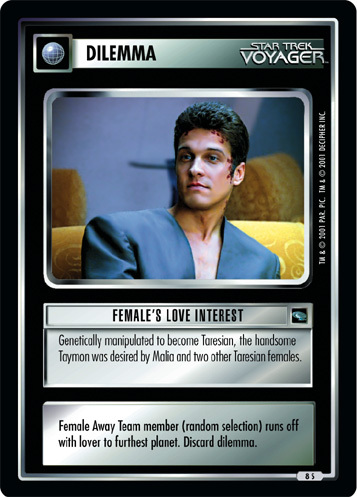 Quarantined on a planet due to a viral illness, Janeway and Chakotay were forced to "rough it." 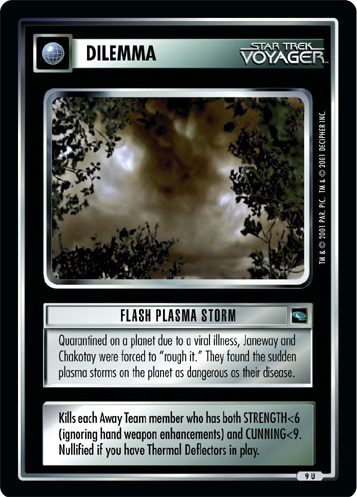 They found the sudden plasma storms on the planet as dangerous as their disease. Kills each Away Team member who has both STRENGTH<6 (ignoring hand weapon enhancements) and CUNNING<9. 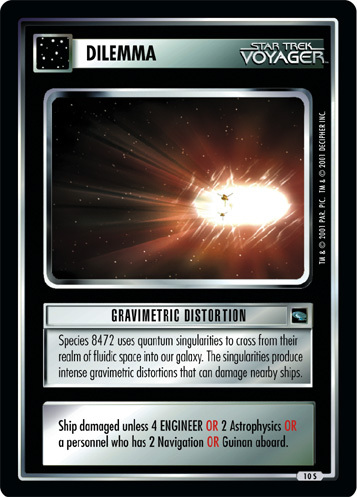 Nullified if you have Thermal Deflectors in play.